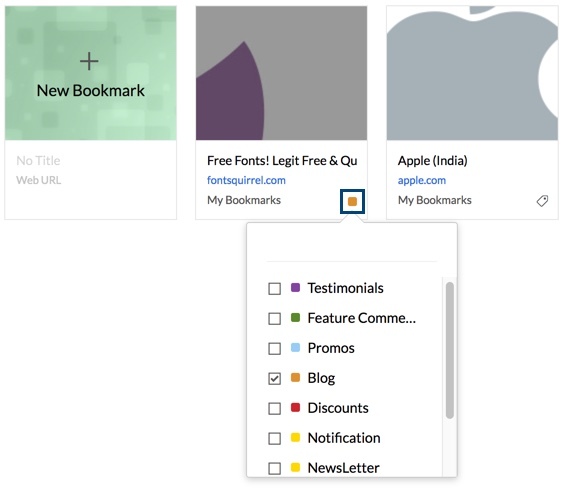 Bookmarks in Zoho Mail help you to save the various Web URLs of websites and articles you come across. You can save them for future reference or to leisurely read them later. Further, the Zoho Mail Bookmarks app, allow you to share such links with the team for the benefit of other members in the group. When you add Web URLs as Bookmarks by marking them as favorites in your browser, you will be able to access them only from that particular system and in that browser only. The Bookmarks application in Zoho Mail helps in managing all your web URLs in the cloud, to access them from anywhere, at anytime you need. Navigate to the Bookmarks application in your mailbox. Click New Bookmark to add a Bookmark. Provide the web URL/ hyperlink to the website you want to bookmark. Provide a short title and a description for the Bookmark, mainly for reference and identifying the link easily. Select a Group, to share it with a group. Enter the collection, under which you want to place the Bookmark. Click Add to save the bookmark. You can also add bookmarks by dragging and dropping the relevant URL from browser tabs into the Bookmarks App. The Bookmarks that have been shared with you, either personally or through a group can be viewed under the Shared to me view from the left pane. The New Bookmark box in the thumbnail view listing of existing Bookmarks can also be used to add a new bookmark. In the email preview pane, select the URL that you want to add as a bookmark. The Smart Create menu pops up. Click the Create Bookmark icon. The selected text gets added as the Web URL. Provide a suitable title and add the other customizations as required. 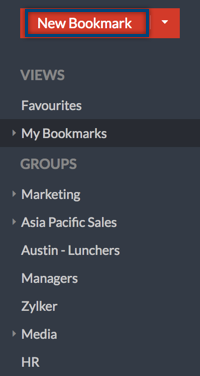 Right-click the My Bookmarks menu or any of the Groups listed. Click Create Collection from the listing, and enter a suitable name for the collection. The new collection is now added to the chosen menu. Follow the usual procedures to add a bookmark. 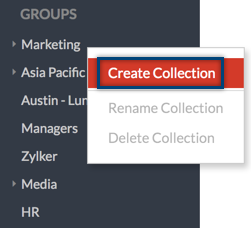 The Collections under the My Bookmarks menu or the chosen Group get listed. 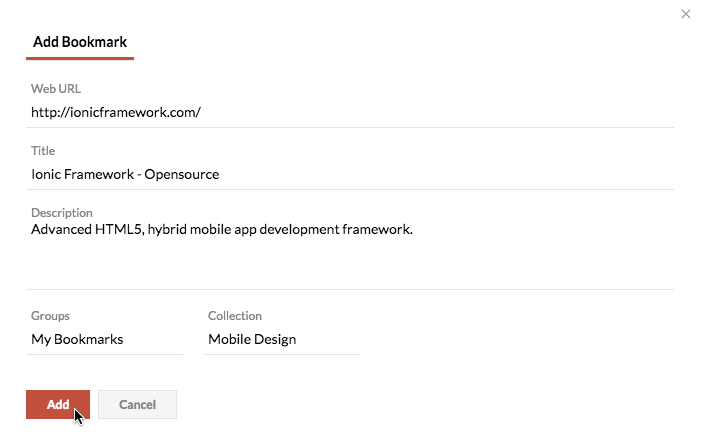 Select the required Collection, and click Add. The new Bookmark will now get added to the chosen collection. Right-click the collection that you want to edit. 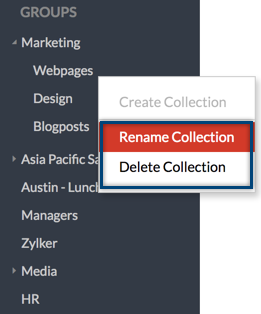 Click Rename Collection from the listing, and enter a new name for the collection. The collection gets saved with the new name. If you want to delete a collection that you've created, right-click the collection, and click Delete Collection. If you delete a collection, all the Bookmarks added to that collection will also get deleted. You can hover over the Bookmarks from the list, and select the Edit icon to edit the Bookmark. Click the delete icon to remove a Bookmark from the saved list. 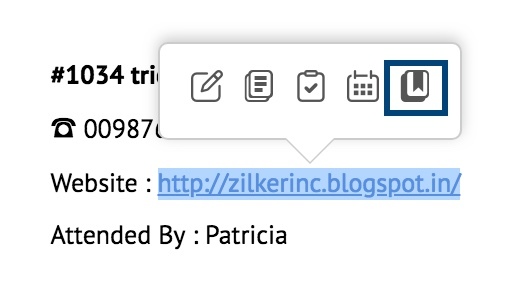 You can copy the URL of any bookmark by clicking on the Copy bookmark URL option. You can also delete multiple bookmarks at once. Just select the bookmarks you wish to delete and click the Delete icon on the header menu. Your Bookmarks in Zoho Mail can also be shared to either Facebook or Twitter. 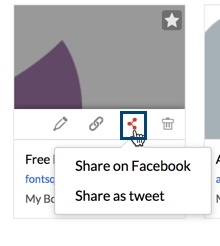 Click the Share option, and select one of the two options. After logging into your Facebook or Twitter account, you can share the bookmark. 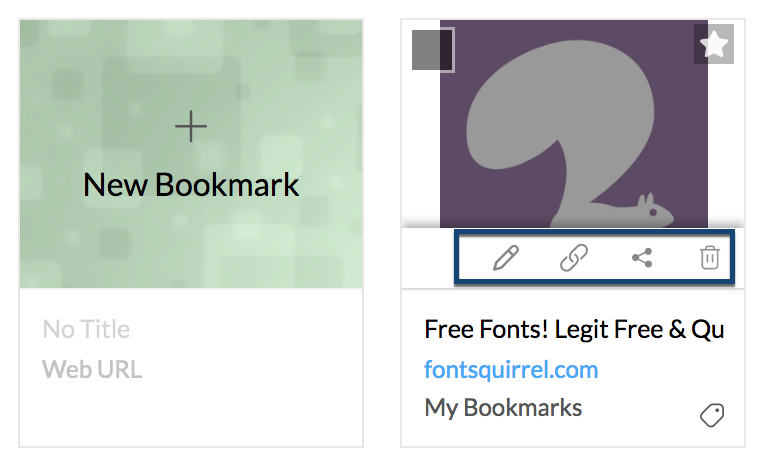 You can associate multiple tags with each of your Bookmark. Click the Tag as icon in the respective Bookmark, and select the relevant tags. You can also view your Bookmarks by Tags from the left menu pane. Select one of the tags from the listing, and all the Bookmarks with that tag will be listed. By default, the Thumbnail view is chosen in the Bookmarks app. You can switch the Bookmarks view to List view using the List icon in the top.